A modern fully automated rail system with red and green lines. Both lines have state-of-art modern designs, providing many great features for general public, including retail outlets, wi-fi connectivity, ATM machines, easy accessibility for disabled passengers. It has an extensive network connection to public transport buses and taxis, in addition to many other exciting features. The Red Line, which runs from Rashidiya Station to UAE Exchange Station, consists of 29 stations and offers free multistory vehicle parking for public transport users at Rashidiya Station and Nahkeel Harbour & Tower station. 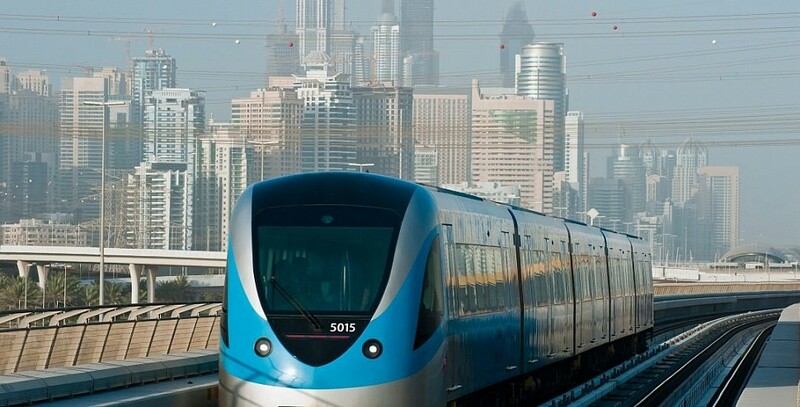 The Green Line, which has 18 stations, runs from Etisalat Station, where it provides park and ride facility, it passes all the way reaching the oldest and busiest souqs along the creek, the Dubai Healthcare City and Jaddaf area as well. Both lines meet at two interchange stations which are Union Station and BurJuman Station.